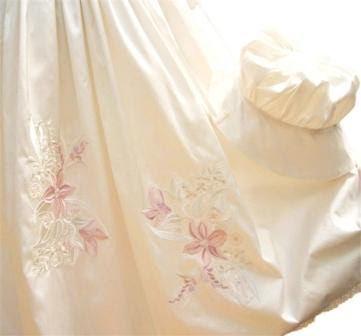 I love the detailed embroidery design in this gown. I have called it LILY. This One Off gown has been purchased by a young couple for the baptism of their first born daughter Lily. My goodness, Dana. Do you MAKE these? They're BEAUTIFUL. You must have amazing patience and an incredible eye for detail.